S/Sgt. Jack W. Chitwood, son of Mr. and Mrs. J.W. Chitwood, attended Cameron College, Lawton. 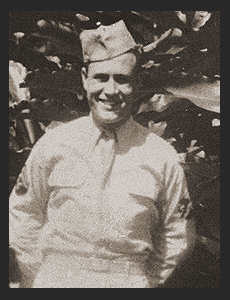 Entered the Army in March, 1943, trained in Camp Roberts, Cal. ; served in the Hawaiians, Saipan, Guam, Tinian, Kwagalein, Enwetok, Leyte. Awarded Good Conduct Medal, Meritorious Unit Award, Victory Ribbon.